With the attack on Pearl Harbour and the Philippines in late 1941, the Northern Territory found itself thrust into the forefront of the Pacific conflict with units of the 19th Bomb Group staging through airfields such as Batchelor in an attempt to prevent the Japanese advance in the Philippines and later in Indonesia. 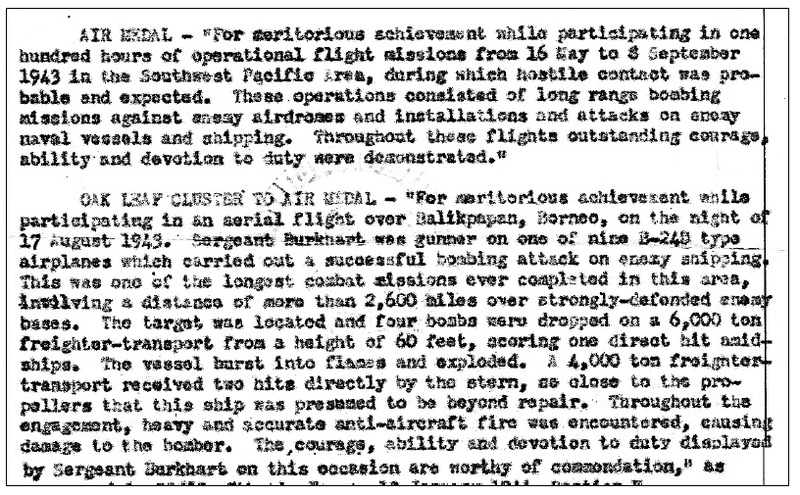 From this time onwards, until mid 1944, the United States Army Air Force (USAAF) would have an ever increasing presence in the NT with the arrival of the 49th Pursuit Group in 1942 and the 380th Bomb Group in 1943. With the influx of USAAF personnel into the Territory came the many uniforms and accoutrements of this force ranging from dress, service and combat uniforms. The intention of this page is therefore to detail the uniforms worn by the USAAF in the NT during the Second World War. It is hoped that contributions from others will help to complete areas where written and visual evidence is lacking. *Please note that uniform examples featured on this page will not include the serviceman or servicewoman’s name in order to protect the privacy of their respective families. 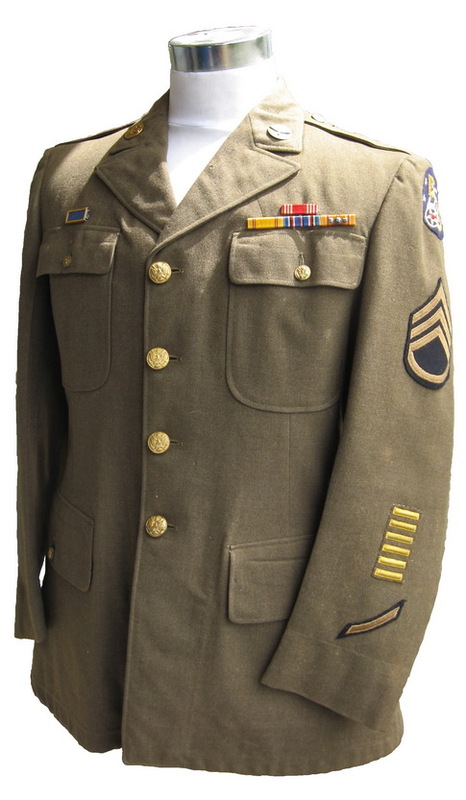 The following example is a Class A uniform that was worn by a Staff Sergeant of the 380th Bomb Group. Full dress uniforms were rarely worn in the NT due to the heat and humidity and were only donned during official ceremonies. The overseas service bars on the left sleeve indicate that this airmen served 3 years away from the United States. The service strip underneath the bars indicate 3 years of service total. Also on the left and right sleeves are two embroidered staff sergeant chevrons. 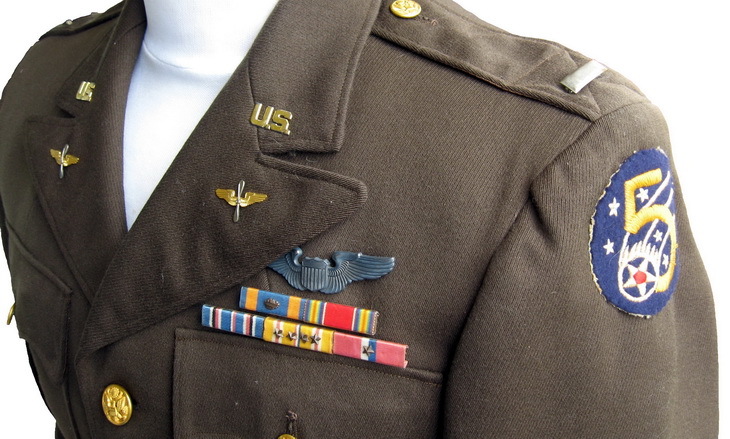 Above the right pocket is a Presidential Unit Citation ribbon. The image below details the ribbons, collar brass and shoulder patch. The latter is a an Australian manufactured 5th Air Force patch of which the 380th was a part. 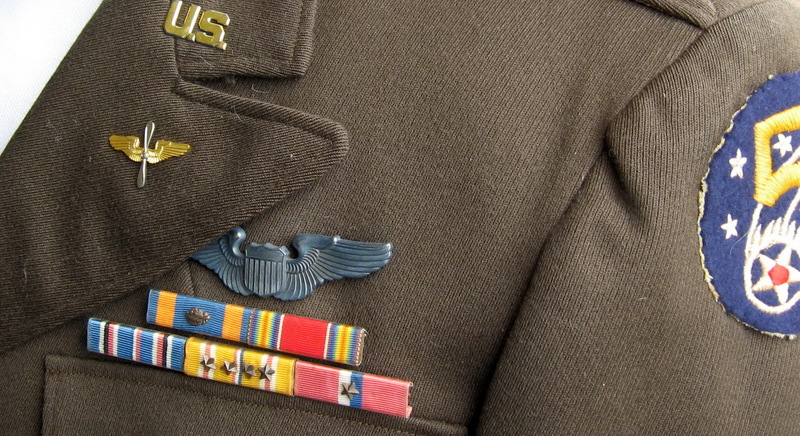 The collar insignia which consist of a “US” and “Wings” manufactured from brass indicate the arm of service the soldier is employed, in this case in the Army Air forces. 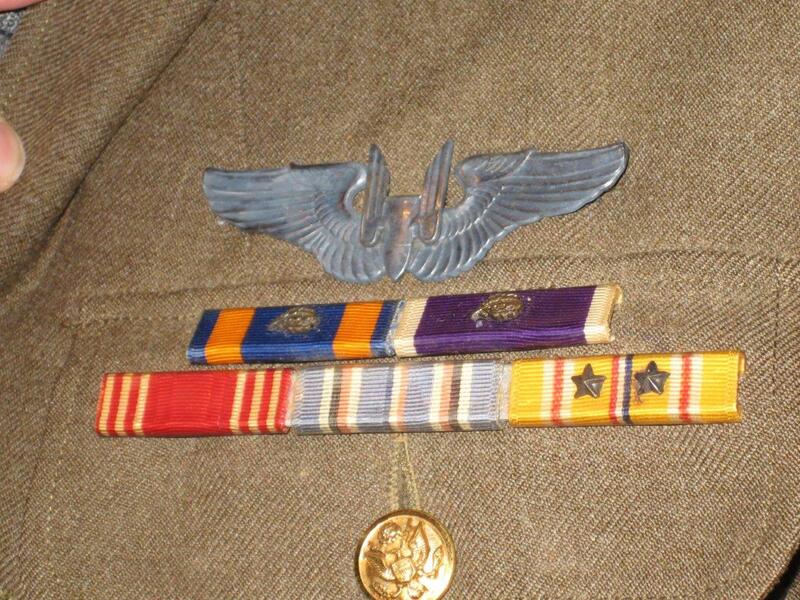 The ribbons above the left pocket represent awarded medals. From right to left [bottom] is the Asiatic-Pacific Ribbon, the American Campaign Ribbon and the American Defence Ribbon. The top ribbon is the Army Good Conduct Ribbon. The Asiatic-Pacific Ribbon has three silver service stars. All the ribbons are coated in plastic to protect them. 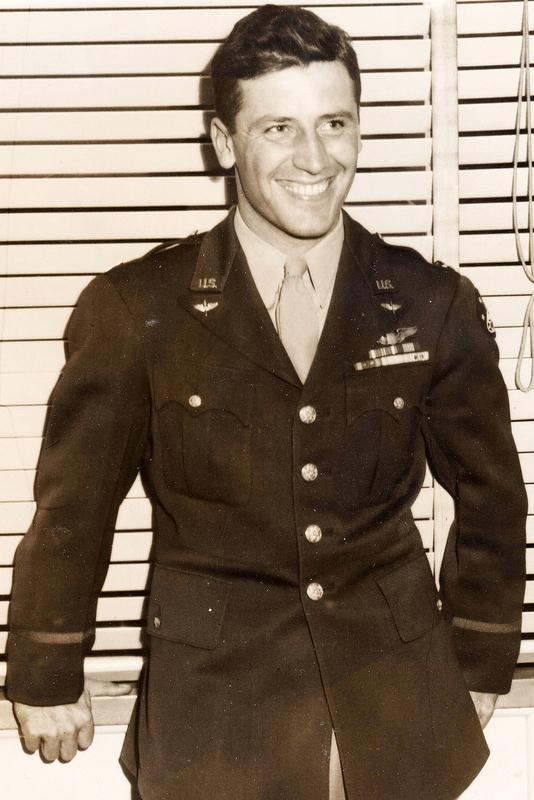 Jack W. Rivers, Radio Operator/Gunner of the 528th Squadron, 380th Bomb Group illustrating the Class A enlisted man’s uniform. Note the radio operators badge on the sleeve. An amazing period colourised photo of SSgt Houston S. Burkhart of the 5th AF, 380th BG, 528th Squadron, Beautiful Betsy, Capt. Joe Roth, pilot. He is shown wearing a set of Gunners Wings, and has been awarded the air medal x2 and purple heart x2. He received his first Purple Heart for shrapnel injuries while participating in aerial flight Balikpapan, Borneo, on the night of 17 Aug 1943. Capt. William Shek was the pilot. (Photo used with the special permission of Martha Burkhart Collins). (Photo used with the special permission of Martha Burkhart Collins). SSgt Houston S. Burkhart’s ribbons and gunners wings today. Note oak leaf cluster denoting multiple awards of the same medal. (Photo used with the special permission of Martha Burkhart Collins). 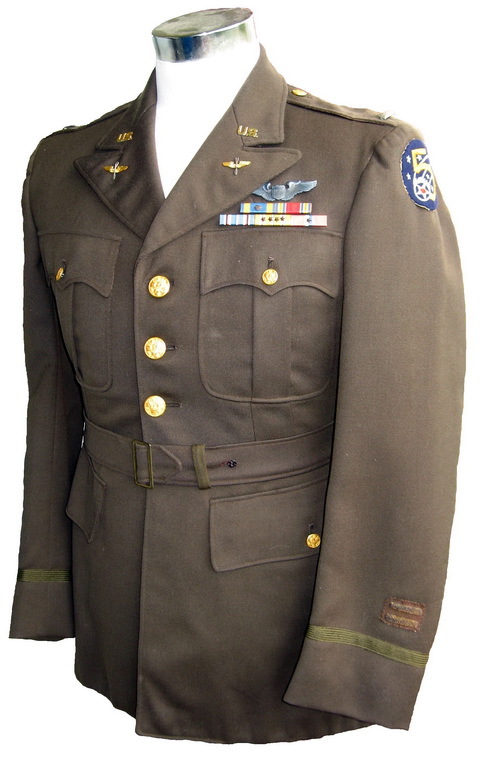 The following example is a Class A uniform that was worn by a 1st Lieutenant of the 529th Squadron , 380th Bomb Group. This officer served as a captain of a B-24 Liberator, flying out of Long Field and later from Darwin Aerodrome and the Philippines. 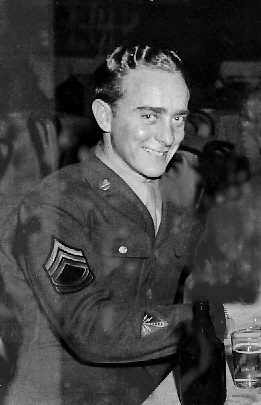 The overseas service bars on the left sleeve indicate that this airmen served 1 year away from the United States. 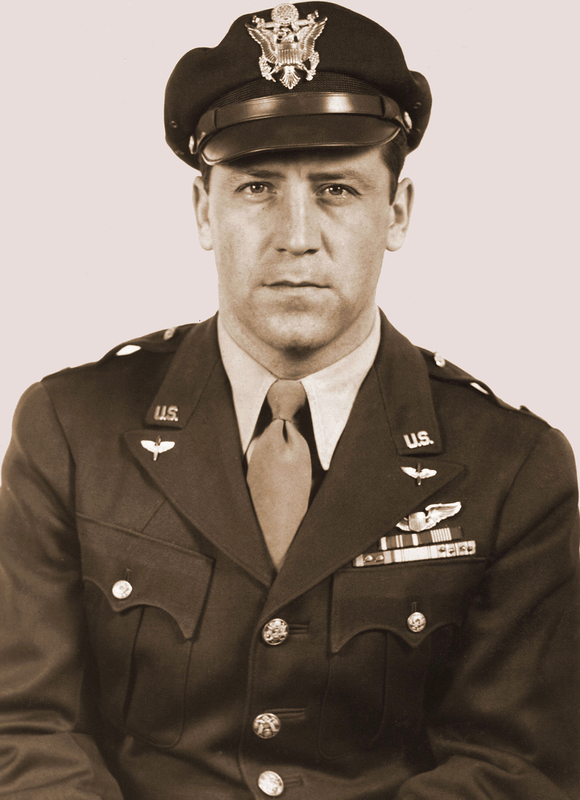 The image below details the ribbons, collar brass, qualifications badge and shoulder patch.The collar insignia denote the owner as an officer and a member of the USAAF buy the wing and propeller devices on each lapel. Displayed on the shoulder boards are the rank bars indicating the officers rank as a 1st Lieutenant. On the left shoulder is an Australian manufactured 5th Air Force patch of which the 380th was a part. Above the ribbons are located a set of ‘wings’. This badge is a qualification device and indicates that the officer is a qualified pilot. 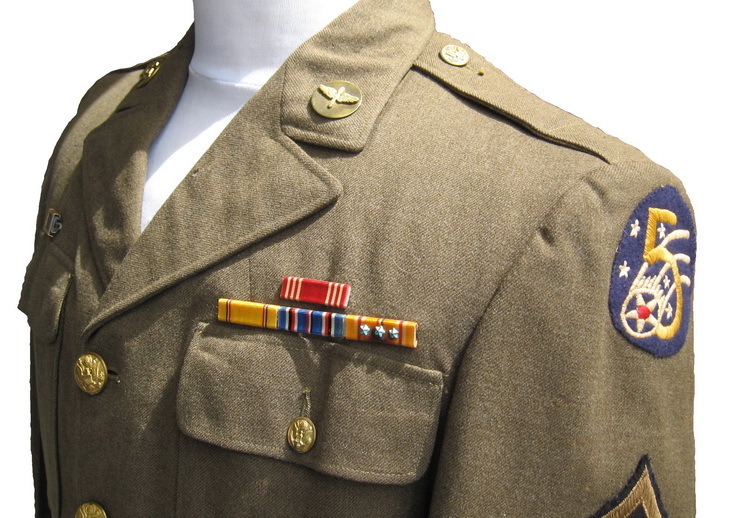 The ribbons above the left pocket represent awarded medals. From right to left [bottom] is the Philippine Liberation Medal with one service star, the Asiatic-Pacific Ribbon with four service stars, the American Campaign Ribbon, the World War 2 Victory Ribbon and the Air Medal Ribbon with oak leaf cluster to denote multiple achievements of this award. All ribbons are coated in plastic. Above: USAAF officers cap (Authors Collection). 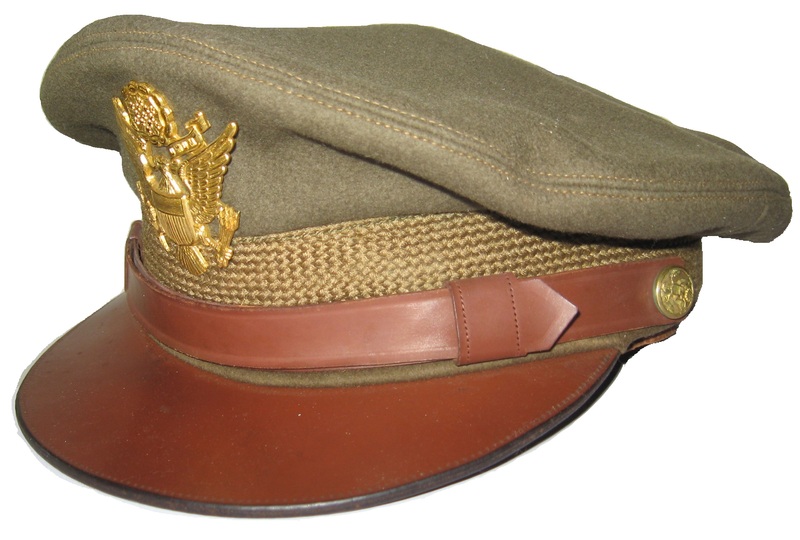 These caps, particularly the popular ‘crusher type’ were often worn on missions. 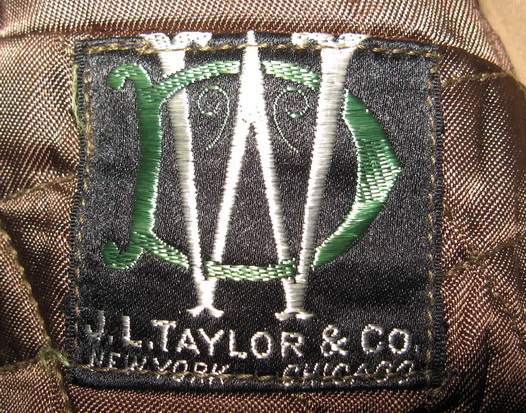 The following tag located on the inside of the uniform shows that this particular uniform was especially tailored for the officer by J.L. Taylor & Co as his initials appear embroidered on it. Captain William Shek, Operations officer of the 528th Squadron, 380th Bomb Group wearing his class A uniform in 1944. Note the Australian made 5th Air Force patch on this left shoulder. Photos used with the special permission of William Shek Jr.
A formal portrait of Capt. William Shek wearing his class A uniform and crusher cap with large eagle. The crusher was very popular with pilots as it allowed headphones to be worn while on missions. The large eagle device was also popular with USAAF service personnel. His ribbons comprise the following awards. From right to left [bottom] the Asiatic-Pacific Ribbon with four service stars for service in the Australian and New Guinea campaigns. The next ribbon is the American Defense Ribbon, followed by the Air Medal with two oak leaf clusters denoting subsequent awards of the same medal. 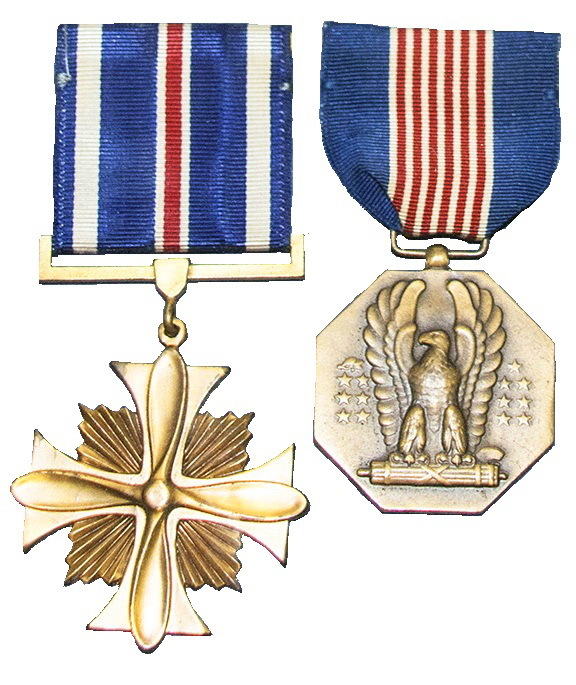 From right to left [top] the Soldiers Medal and the Distinguished Flying Cross. William Shek Jr. Collection When medals were awarded they were normally accompanied by a citation that explained the reasons for the receiving on the said reward. Capt. 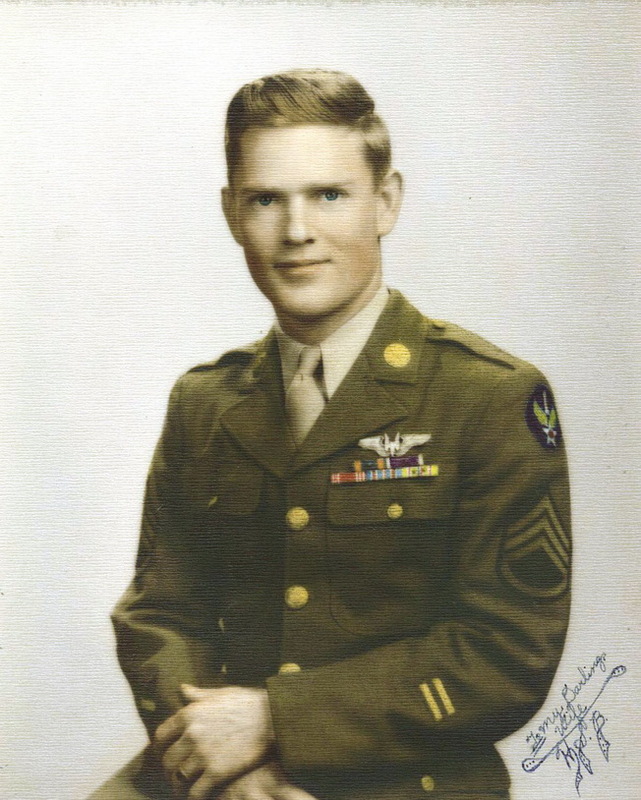 William Shek received the Distinguished Flying Cross for the action explained above on the 13th of January 1944. Each ribbon as displayed on the Class A uniform represents a military medal. Above: Captain William Shek’s DFC (left) and Soldiers Medal (right). Front of the leather wallet carried by the officer from the 380th. 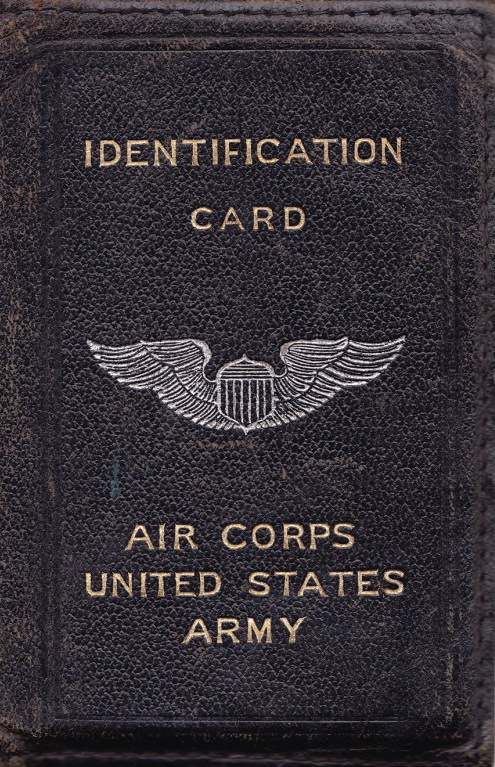 This contained information such as ID card, pilots license and medical forms.